Rupert Pupkin Speaks: Underrated Thrillers - Danny Reid ""
Danny Reid runs PreCode.com and there he covers Hollywood films released 1930 to 34 before widespread censorship. He can be found on twitter @Mr_Sheldrake/or @PreCodeDotCom. Alfred Hitchcock once said that the tension in the thriller doesn't come from seeing the bomb explode, but from watching two unaware people have a conversation about baseball while the timer winds down. Most of the thrillers I enjoy don't involve digital countdown timers and big explosions, but an active attempt to play with viewer's knowledge by using what we know of history and human nature against us. And some, well, some are just too fun not to mention. An odd "Twilight Zone"-esque movie, 36 Hours works mostly because of the charm of its leads-- James Garner, Eva Marie Saint, and Rod Taylor-- and the oddness of its premise. Can a Nazi trick an American officer into revealing where Allied forces will be landing on D-Day and consequently change the course of the war? Well, we know how history actually happened, which would seem to make the movie redundant-- but 36 Hours instead uses that knowledge to throw a couple of twists and turns into the works. 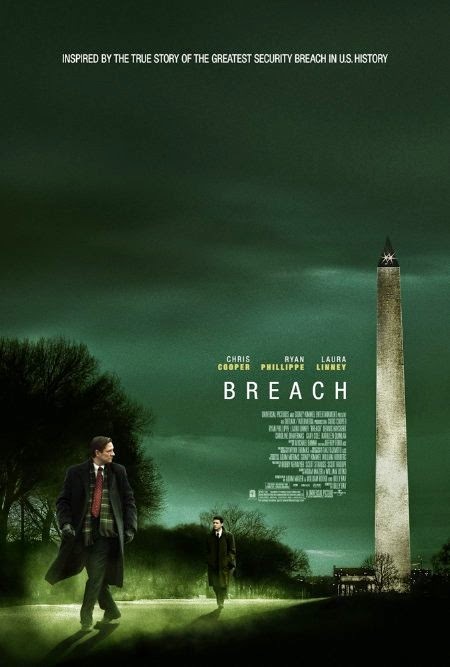 The movie falls apart in its third act (unfortunately, it thinks that clean cut Garner is the hero rather than the conflicted but endearing Taylor), but it's a fascinating attempt to use history as a backdrop to ratchet up tension. Putting a DePalma flick on this list may sound like a cop out, but truth be told, ever since Criterion released Blow-Out, too many people have been taking the piss out of his great 80s thrillers without knowing what the hell they're talking about. 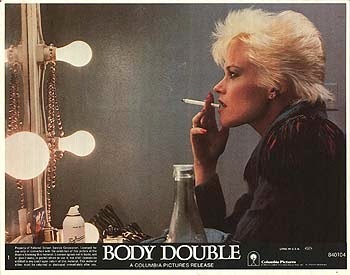 Body Double is DePalma firing on all cylinders, aiming for over-the-top titillation and excitement with naked abandon. There's no subtlety to speak of (the killer arranging a giant drill between his legs as he prepares to murder a woman certainly earns the guffaws it so desires) and the film's sudden musical number is gleefully sleazy and fun. It also ensured that the movie got a music video tie-in in the form of "Relax (Don't Do It)" from Frankie Goes to Hollywood, resulting in one of the most pinnacle 1980s-things in existence. Based on a true story, Billy Ray's follow-up to the indisputably powerful Shattered Glass got a muted reception on release. The plot follows a young CIA agent who is tasked with taking down a suspected double agent-- who is also one of the most powerful bureaucrats at the company. Chris Cooper gets some great shades of grey out of real life spy Robert Hanssen, and an all-star cast turns in one of those rare movies in the last decade that was made for honest-to-god adults. Jeffrey Hunter is probably best remembered-- if he's ever remembered-- for being the original captain of the starship Enterprise on "Star Trek". 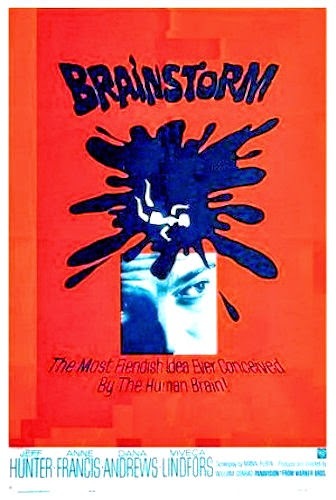 But beneath that pretty boy exterior was a fun little dramatic actor, and Brainstorm lets him be as unappealing and strange as he can manage. He's a scientist who falls for a suicidal woman and decides that murdering her husband and pleading insanity is the best way to ensure her safety and their love. It's cheesy but fun as we see Hunter's journey into obsession over committing 'the perfect crime' slip ever so closer across that precipice of madness. 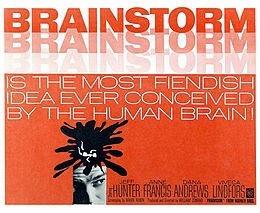 If it was cheating to put Brian DePalma on here, I suppose adding Billy Wilder to the mix may as well incite a riot. To be perfectly frank, though, while Wilder's Witness for the Prosecution is hailed as a classic thriller, it's this, his second movie, that really deserves more lauds. Franchot Tone is the sole survivor of a British tank column from one of Rommel's routs during the second World War. He stumbles deliriously into a hotel that is about to become the headquarters of the German African command to kick things off. Anne Baxter is the French maid, desperate to save her brothers from the concentration camps, and the legendary Eric Von Stroheim is Rommel himself. Gregarious, charming, and an utter brute, Stroheim's Rommel is the performance that dreams are made of. Tone must impersonate a dead butler to unravel Rommel's deadly 'Five Graves' that threaten to end the Ally's war effort in Africa before it could even begin, and that line between being betrayed by Baxter or by his own daring keeps the audience on the edge of their seats. It's also notable for being made in 1943, making it a fictionalized version of history that's about as 'ripped from the headlines' as you could get back then. I adore Gone, which was pronounced dead by critics months before it even arrived. Anyone expecting a conventional mystery will surely be disappointed as the movie is far more concerned with being the story of what life is like as a victim of sexual assault than with providing a standard formula picture. Amanda Seyfried plays a woman who was kidnapped and trapped in the forest for a number of days, and, upon escape, discovers that no one believes her story. In fact, she's openly ridiculed by the police, and thus is the only one who can save her sister when it appears she's also become a victim of the mysterious stalker. The movie is a weighty mood piece as director Heitor Dhalia really pushes the audience past its comfort level to experience for themselves how much a victim is marginalized by society. There are plenty of red herrings and suspicious characters, but rightfully so-- in a world that openly condones sexual violence, isn't everyone a potential threat? The film cleverly makes its finale not about delivering the satisfying comeuppance against the abuser but the police who doubted Seyfried's character all along. If you go to Hawaii, there's not much of a better way to spend the flight there than indulging in the luscious but ludicrous A Perfect Getaway. Starring not-quite-stars-but-always-reliable-actors Steven Zahn and Milla Jovovich as a couple honeymooning on Oahu, their story takes a dark turn as their hike through a remote jungle sees them come in contact with a couple of suspicious characters. These characters, by the way, may or may not be related to a murderer on the loose in Honolulu who has been removing various victim's extremities. If you start watching and feel your attention wavering, at least make it to Jovovich's story of her first boyfriend, a moment that perfectly violates that old 'show don't tell' maxim and is more horrifying than anything seen in the entirety of the Resident Evil franchise. Ernest Lehman, who penned the screenplay for North by Northwest, also penned the screenplay for The Prize. I don't really have to point this out since it becomes patently obvious as soon as the dialogue kicks in and the barbs begin to fly. 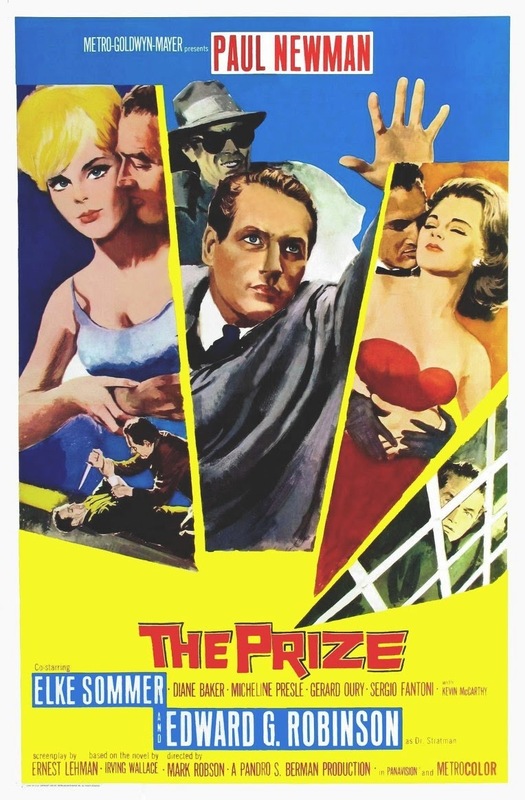 Paul Newman is a wonderful substitute for Cary Grant as he plays a down-on-his-luck novelist who inexplicably wins the Nobel Prize for Literature. This draws him into a world of intrigue and drama as another Nobel winner, played by Edward G. Robinson, begins to act suspicious while plenty of communist spies flutter about in the wings. 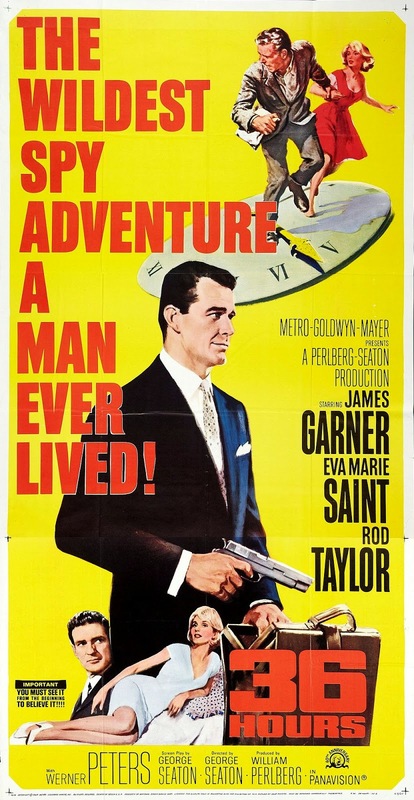 The movie isn't as solid as North by Northwest as director Mark Robson runs roughshod over the material (he's clearly no Hitchcock) and a number of coincidences undermine much of the tension, but some sequences, such as Newman's attempt to hide out in a nudist convention, are memorable to say the least. "Danny!" you're saying. 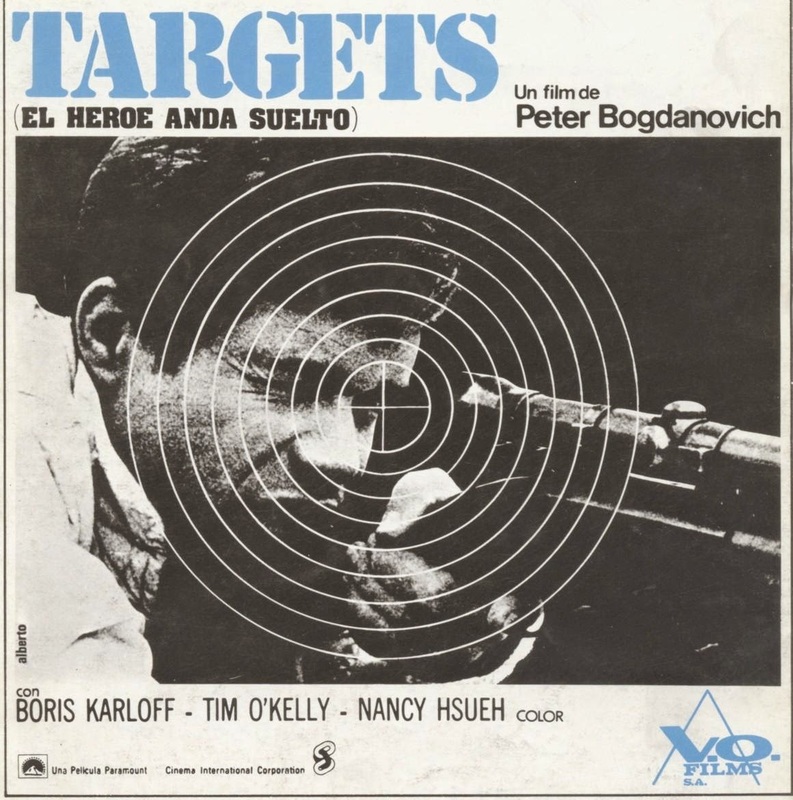 "How can Targets be underrated when it's one of the greatest movies of all time?" "Shut up," I'd say, "Until it's at the top of Sight and Sound's poll, on my underrated list it will stay!" 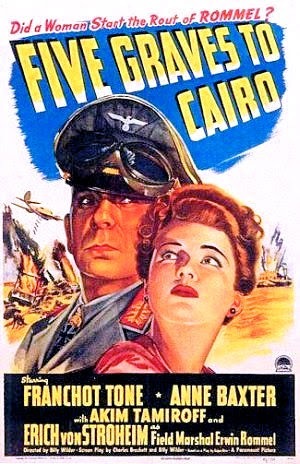 Glad to see "Five Graves to Cairo" made the list – which is one I have to see again! The rest I have not seen...thanks for the recommendations! Warner Archive Grab Bag - THE HUNTED and RANSOM!